Book Bloggers Bring Book People Together! Book bloggers are heroes to both authors and readers alike, helping authors grow their audience and helping readers find great books. Many thanks to all of the book bloggers who’ve hosted me on their sites or reviewed my books over the years! 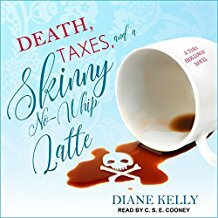 Here’s a great article about bloggers that features an industry favorite, Dru Ann Love of the Dru’s Book Musing Blog. If you haven’t visited her blog yet, take a look! She’ll help you find some great reads. Hooray! You asked for it and you got it! 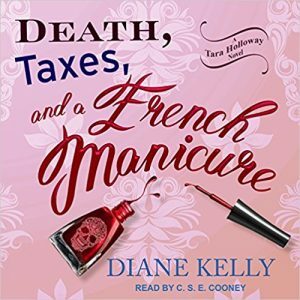 The first two books in the Death & Taxes series are now available in audio! 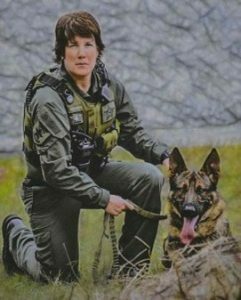 Support K-9 Teams and Get Free Autographed Books! It’s a fall fundraiser! 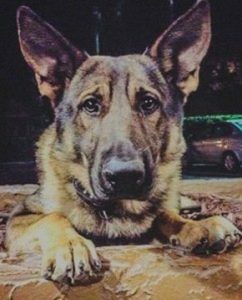 Author DD Ayres and I have teamed up with nonprofit K-9s United to further their mission of supporting K-9 teams throughout the U.S. K-9s United was formed after the tragic death of K-9 officer Baron in the line of duty. K-9 teams do so much to keep us all safe, and their work is absolutely fascinating. That’s why DD and I write about them! For a minimum donation of just $25.00 to K-9s United, you will get two free books, one from me and one from DD. Want more books? Donate more $! Thanks to all of you for supporting this worthy cause! 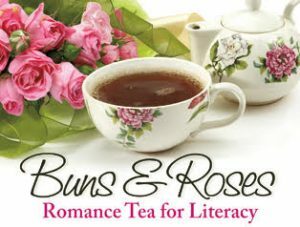 Just One More Week to Buy Tickets to Buns & Roses Literacy Tea! 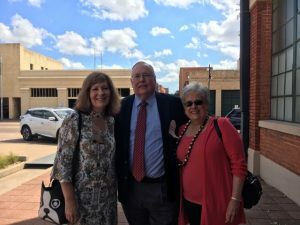 Big Fun at the West Texas Book Festival! I had such a great time at the West Texas Book Festival this weekend! Met author Preston Lewis and his wife. Everyone kept telling me how funny his book The Fleecing of Fort Griffin was so I snagged an autographed copy and began it last night. Loving it! 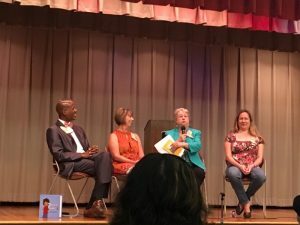 Also had a chance to hear children’s authors Dr. Steven Moore, Penny Klostermann, and Jennifer Ziegler. 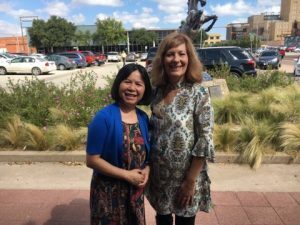 Got to hear fun, folksy music, too, and meet the Texas Library Association’s President, Dr. Jeng. Thanks to author and festival chairperson Glenn Dromgoole for organizing the event! 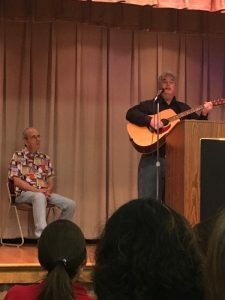 Glenn is the author of many great books that you can find here: Glenn Dromgoole’s Books Thanks, too, to all the others who worked hard to make the event so much fun for readers and authors alike! 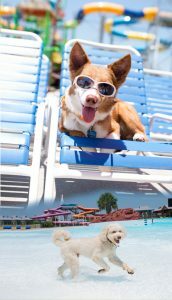 Doggie Pool Party This Sunday! Come on out to Hawaiian Falls in Mansfield, Texas this Sunday, Sept. 10th from noon to 4:00 for a doggie pool party! The event benefits the Made in Texas Assistance Dogs organization. Author D.D. Ayres and I will be there selling books, with profits supporting the organization. Details here: Hounds at Hawaiian Falls Hope to see you and your four-legged friends there! Come join me and fellow K-9 author DD Ayres at Hawaiian Falls water park in Mansfield, Texas on Sunday, September 10th! All proceeds from book sales will benefit Made in Texas Assistance Dogs. Event Details Here! Orlando Book Signing – Saturday, July 29th! 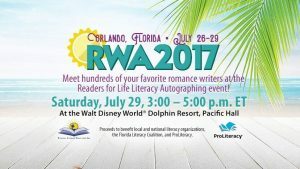 Come see me and hundreds of other romance authors at the Romance Writers of America Readers for Life book signing for literacy! You’ll get lots of great books and support a wonderful cause.